My June Play! By Sephora box came in the other day, and I am happy to report that this month's box was a hit. At least I think so. This month it's all about taking the minimalist route, with products that prove that less really is more. Creating easy-going and understated styles has never been easier. Bumble And Bumble Don't Blow It: This hair cream is comprised of a blend of lightweight polymers which help add bounce and boost hair texture, and a plant-based conditioning blend that softens and hydrates strands. 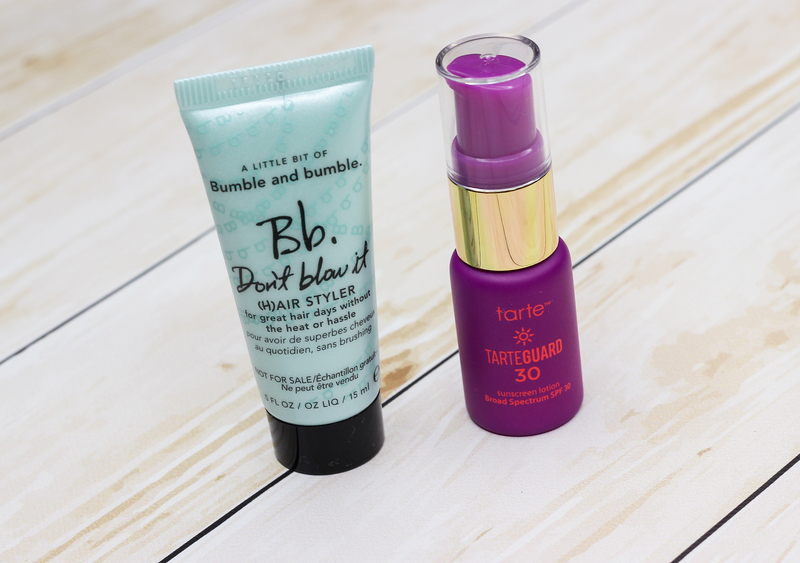 Tarte Tarteguard 30 Sunscreen Lotion Broad Spectrum SPF 30: This mineral sunscreen not only protects the skin against the sun's UVA/UVB rays, it also moisturizes and brightens with a little help from ingredients like maracuja, red algae, soybean, and apple, just to name a few. I have been curious about this sunscreen lotion, so I am looking forward to giving it a try. 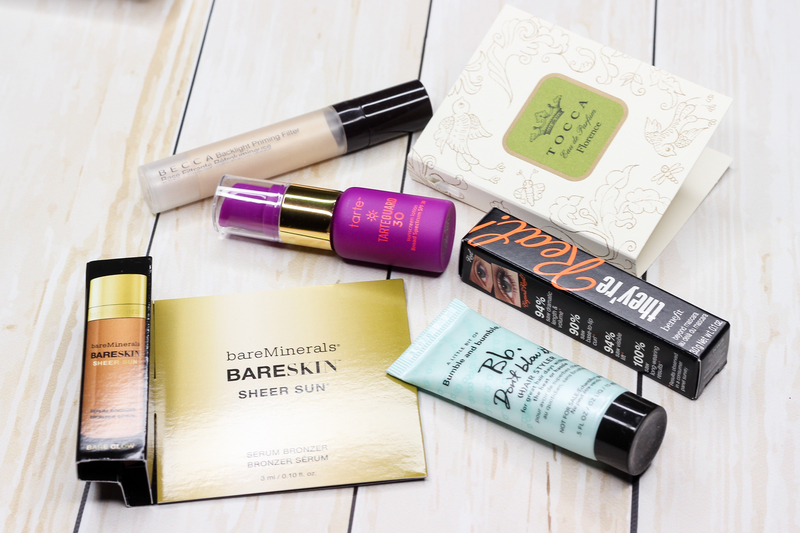 Bareminerals BareSkin Sheer Sun Serum Bronzer: I have never used a serum bronzer before so this should be interesting to try. 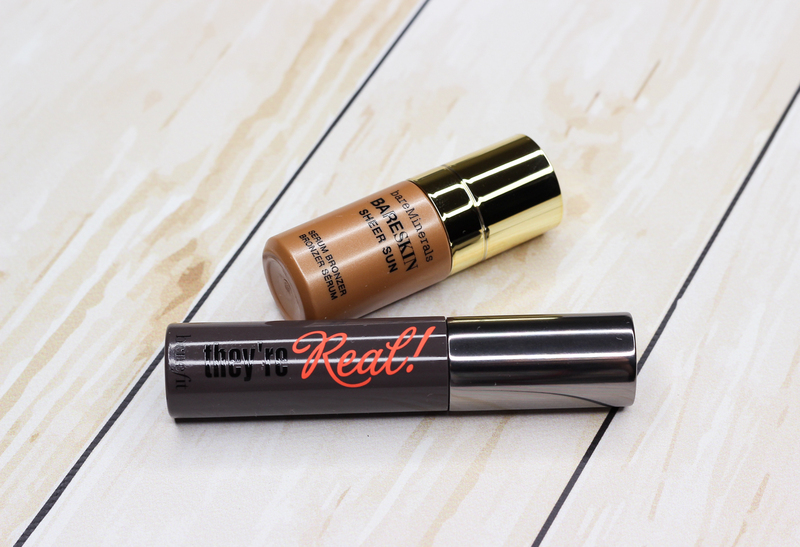 It contains a lightweight formula that warms up the skin with a sheer tint. Sounds right up my alley. Benefit Cosmetics They're Real! Mascara: I am no stranger to Benefit's oh-so-famous, They're Real! mascara. It's one of my favorites because of how well it lengthens, separates and defines my lashes. 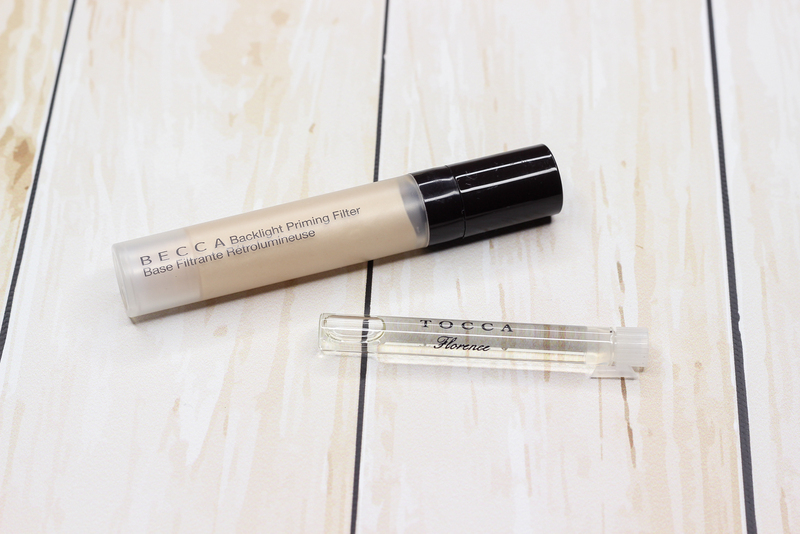 Becca Backlight Priming Filter: This primer couldn't have arrived at a better time, since the summer months call for a luminous complexion. Becca's Backlight Priming Filter makes an ideal canvas for makeup since it helps blur imperfections, while also imparting a radiant glow to the skin. It's infused with vitamin e and contains a proprietary blend of crushed pearls. So excited to give this a go! Tocca Beauty Florence: This fragrance smells very lovely. It has somewhat of a floral/musky scent that I can't get enough of. The notes of Italian Bergamot, crushed violet pearls, blue iris and blonde wood come together to add an elegant and sophisticated touch. 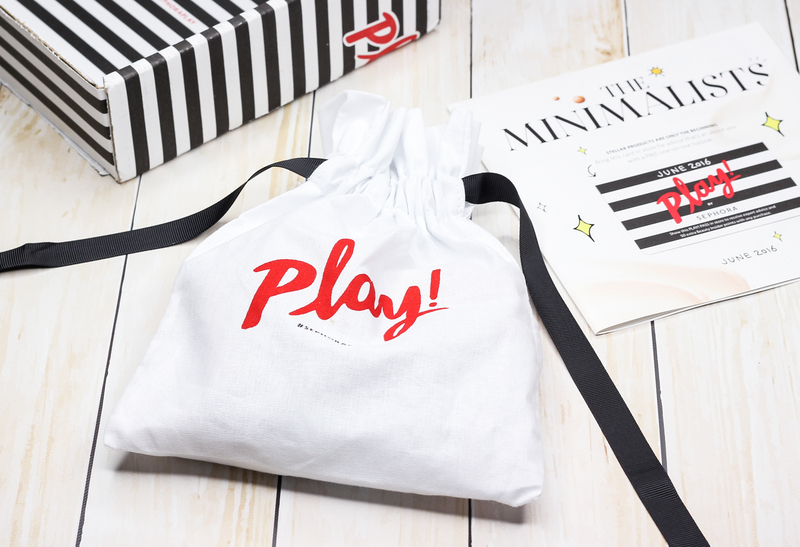 What do you all think of Sephora's Play! box box for June?